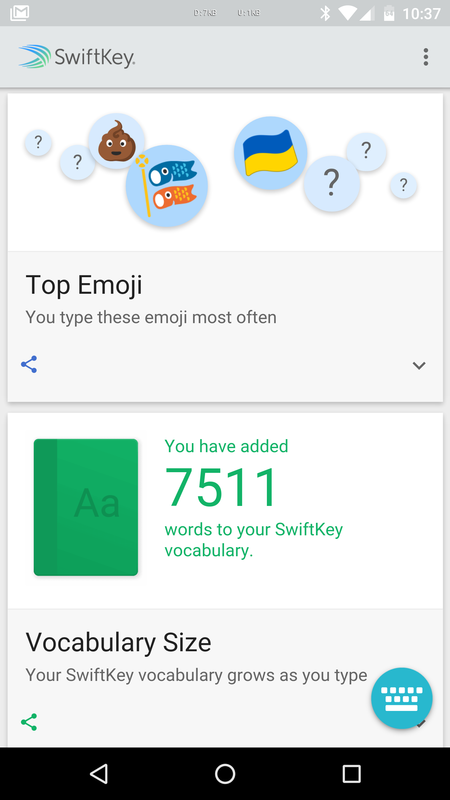 Your keyboard knows more about you, your language habits, your weird infatuation with the pile of poo emoji, and your eccentric words than you could ever imagine. 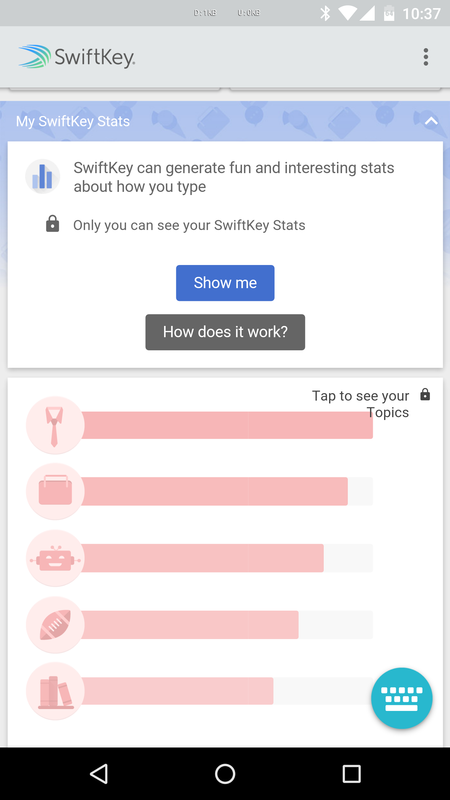 SwiftKey knows even more, not only because it's been available for years and has been collecting your data for as long as you've used it, but also because it can scan through your entire email and social accounts to learn more and more from your typing behavior. Now SwiftKey is ready to turn that knowledge into infographics (because those are cool) to let you in on the secrets of your own language and typing habits. 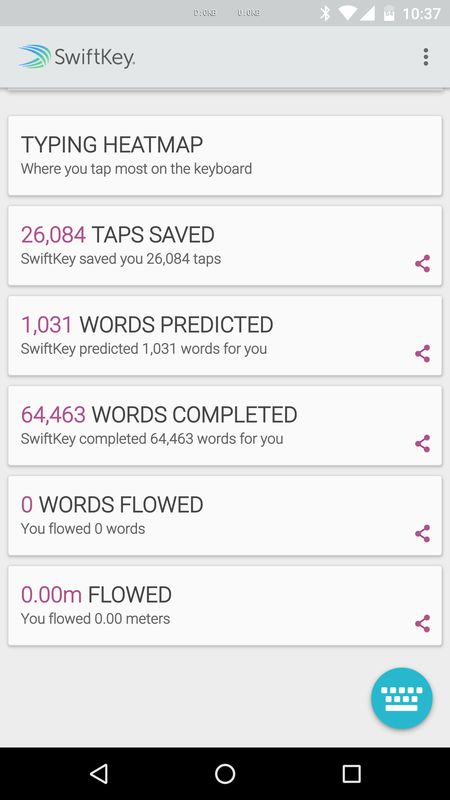 Previously, the app would show a few stats like the typing heatmap, taps saved, and the words predicted, completed, and flowed. 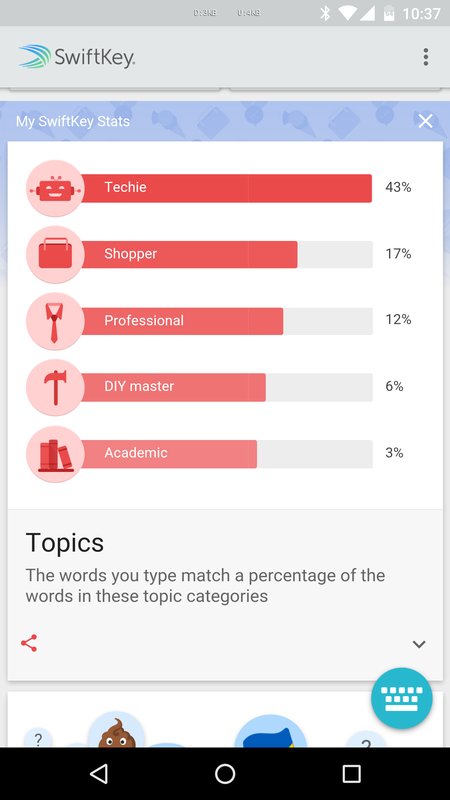 Now, there's a new stats section on top visible only to you and that shows even more stats. 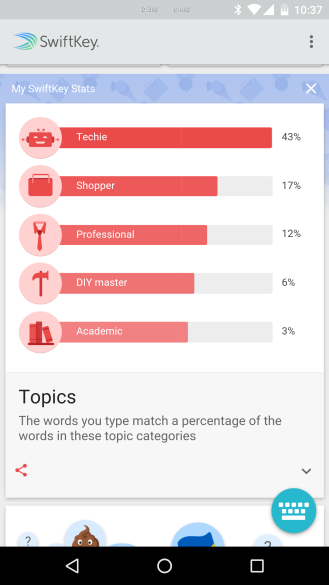 That feature has been in beta since January, but it's now available to everyone on the Play Store. 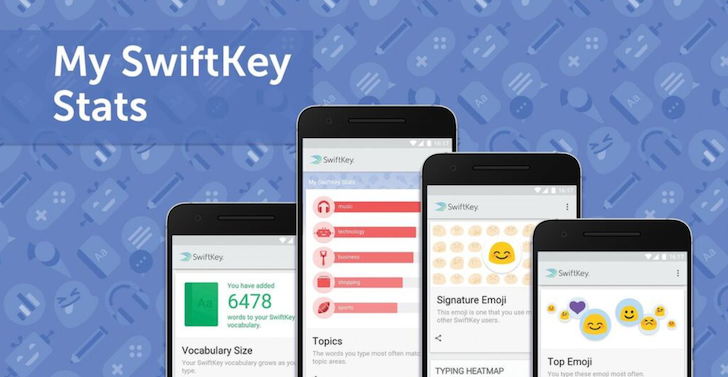 The stats in question are your most frequently discussed topics based on the categories of words you often use, your top emojis, your signature emoji that you use more often than the average person, and your vocabulary size that counts all the words you have taught Swiftkey. These are Artem's screenshots. Make of that what you will. "Oh hail our DIY Master!" The scariest part of this? All that info is now in the hands of Microsoft, ha! 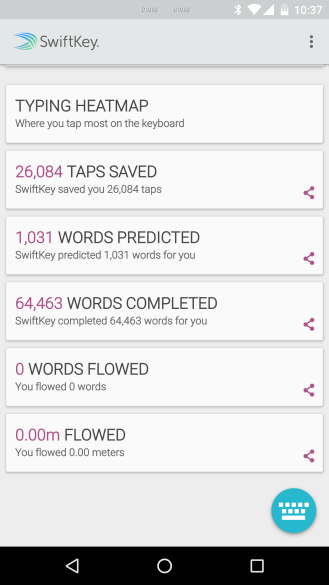 There are obviously more changes in this release and you can learn about them in the changelog below then grab the app from the widget further down.